A man of fair complexion sitting on a bench in the middle of screaming noises of children pays attention to the task at hand; slowly and carefully he feeds a mentally ill child. The child cannot sit still, talk nor pay attention. Food and saliva keep falling out of his mouth but Kyrollos Boules, an Egyptian studying in Switzerland, does not tire. One spoon after another, he makes sure the boy has his meal, often cleaning his mouth. His is a task that requires patience and care. And yet Boules is not paid to do this work. He is volunteering at Missionaries of the Poor, a home in the middle of the filth and congestion that make up Kisenyi slum. The home takes in anyone rejected by society. When Boules thought of taking a holiday to tour the world for his four-month break from school, he checked on the internet for the most recommended holiday destination. And he landed on an article about Missionaries of the Poor (MOP) whose work he had heard about while in Kenya. So, his plans changed to volunteering and he chose to come to the missionary home in Uganda. Boules asked his parents to fund the trip and they were more than glad. He bought his plane ticket and headed to Kisenyi. Here he would spend time feeding, washing, singing, dancing, cleaning and playing with the children and adults at MOP. Over the weekend he would go upcountry and tour some sites. “It is our responsibility to share with the rest, because I could be here and they could be out there coming to take care of me. We are one in Jesus’ body and have to share in His body and name,” Boules says. It doesn’t take much to understand why Boules would dedicate his time to helping these people instead of basking in the sun on white sand beaches. The people here need any help that can be offered. Their needs make one count their blessings. Around Boules are men and women, boys and girls, young and very old, eating out of blue bowls. Take Wasswa, who is mentally ill. He stands up and comes to greet the visitors as saliva oozes from his mouth. One cannot comprehend what he is saying but he doesn’t tire of speaking and welcoming guests. He was abandoned in a hospital in Jinja and a woman brought him to MOP six years ago. Wasswa has grown up at the home; he is so full of life and welcoming. He is destined to stay at this home all his life. With him are two albino girls, Barbara and Sarah, who were abandoned by their mother at their ailing grandmother’s home. When cases of child sacrifice increased, their grandmother could not ensure their safety in the village; so, she brought them to MOP where she believed they were much safer. MOP came to Uganda on September 29, 2000 at the invitation of the Archbishop of Kampala Emmanuel Cardinal Wamala, who had witnessed the work MOP does in Jamaica. MOP was started in Jamaica, Philippines, Haiti, Indonesia, India and USA 27 years ago to take care of old people who are usually abandoned by their families. Fr Richard Hu Lung, the founder of MOP, and two brothers came to Uganda to survey the situation. 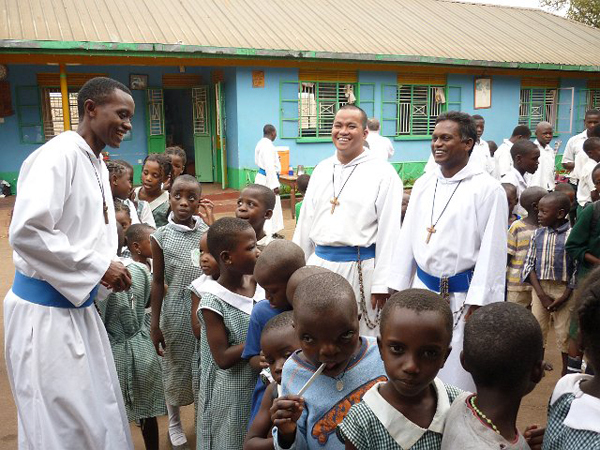 “We chose Kisenyi because it was the area of the poorest of the poor,” Bro Jean Michel Oratius says. Cardinal Wamala gave them the land in Kisenyi to construct the home. When its gates were opened, the Brothers from the monastery distributed brochures and called anyone who knew a person in need to deliver them to the home. Within no time, the home was full. 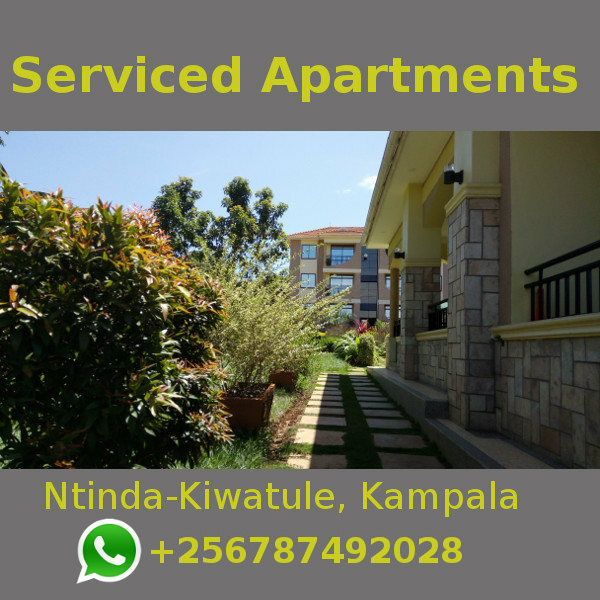 When they moved to Africa and Uganda, they realised that culturally, most African families take care of their old and that more younger people needed a home than older people. There were more children being abandoned and more disabled people turned destitute. MOP takes in the poor, needy, homeless, depressed and disabled that have been abandoned by society and need a loving home, food and care. The home is run by Our Lady of Good Counsel monastery in Mutundwe. Oratius says the home takes the children to school, clothes them, gives them medical care, food, shelter and buries them. “People in town don’t have anything, we are their mother and father; we do everything. They start when they are young and they grow with us. 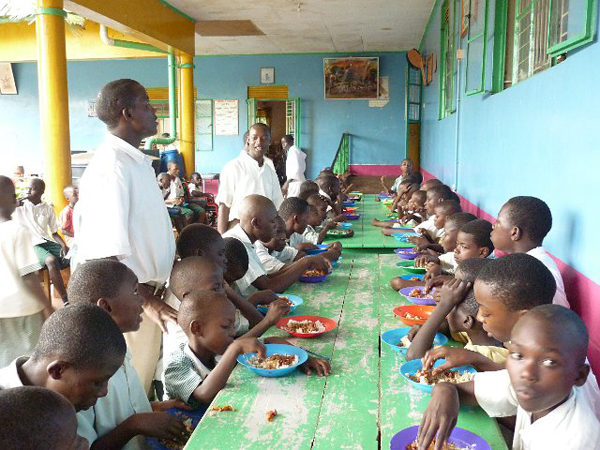 We also give school fees to children who don’t have school fees,” Oratius says. The monastery has two other homes – Good Shepherd Home and Busega Home for the Children. Every Sunday after the second mass, the monastery feeds around 2,000 people. “This is our work; we are called to do this. We have cases that are worse; we have some mentally troubled adults and children with HIV who are harder to manage, that is why their relatives abandon them. We had not planned for older children who are now independent. We are trying to find a place for the big boys and girls to go,” Oratius says. The monastery provides a home for 282 homeless adults and children, medical dispensary serving the slum neighborhood of Mengo-Kisenyi of over 10,000 people. It provides scholarships for over 500 children and youth at primary and secondary schools. “If you are married and have many children and the husband cannot care for them, you come and we give you food and clothing. We give the basics but don’t provide shelter. 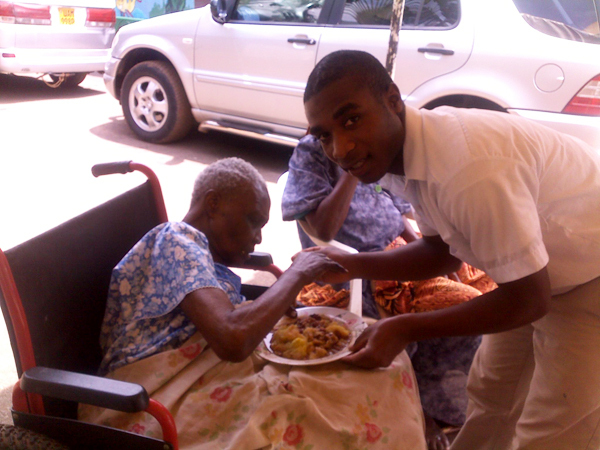 We give medical care for those who cannot afford it,” Oratius says. The home is run with funding from well-wishers’ donations. “We have benefactors. We rely on divine providence. It’s like I have and I want to share, we multiply the little we have and God takes care of the rest,” Oratius says. The Brothers from Our Lady of Good Counsel in Mutundwe are the caretakers of the home. They cook, clean and feed the sick and disabled. Most of the funding is raised from abroad. But the home faces challenges like huge electricity and water bills. At the time when friends of the group Eligibles visited the home, it had an electricity bill of Shs 850,000 for one month.